Labor, gender, race and ethnicity, political sociology, development, political economy, and global sociology. 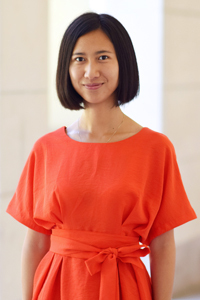 Ruijie Peng is a PhD Candidate in the Department of Sociology at the University of Texas at Austin. Ruijie gained her MA in Latin American Studies at the Lozano Long Institute of Latin American Studies. For her master's thesis, Ruijie has conducted ethnographic fieldwork in Ecuador. She examines the social organization of work in a Chinese-sponsored hydroelectric construction project where Chinese and Ecuadorian workers work together. She is a Graduate Fellow of the Urban Ethnography Lab, and a Graduate Coordinator of the Rapoport Center for Human Rights and Justice. Ruijie’s research interests include labor, gender, race and ethnicity, political sociology, development, political economy, and global sociology. Her ongoing dissertation research is an ethnographic study of home support and women’s labor against the backdrop of rural-urban migration in southwest China. In it, she focuses on how economic changes influence resource transfers between rural family members and urban workers, and how gender relations are affected in that process. She has won NSF DDRIG Award, IJURR Fellowship, and MAXQDA research grant to support her ongoing fieldwork. She discusses her research methodology using qualitative data analysis software in blog posts here. Ruijie received her B.A. in English Language and Literature in Tsinghua University in Beijing, China.